It’s never too late to follow your dreams even when you’re 50 years old. 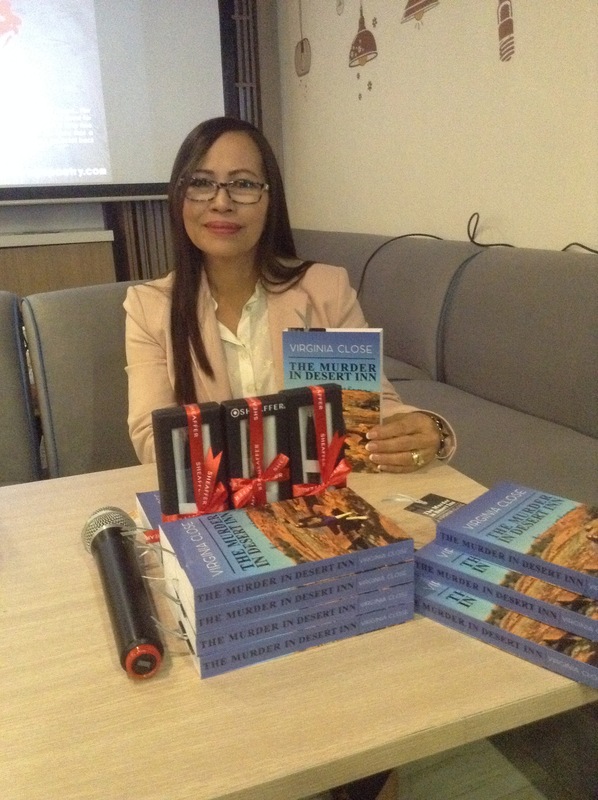 Take it from Virginia Close, a writer and poet of Filipino descent living in Cairns, Australia who published her very first book at the age of 53. She was living comfortably and happily in Cairns, Australia with her Australian partner. She has two children who are all accomplished now. But life really has a way of fulfilling all our dreams, even those that are already forgotten. It happened to Virginia, so it could happen to any of us. Virginia is second to the youngest in a brood of seven. At an early age, she already had a knack for storytelling. At the age of six, she would gather all other kids and would tell them stories using the puppets made by her lola. In college, Virginia graduated with a Mass Communications degree from Pamantansan ng Lungsod ng Maynila and trained at the Communications Foundation for Asia and Intercontinental Broadcasting Corporation. For a while, she thought scriptwriting for children’s theatre in the defunct Metropolitan Theater would be enough not until her father passed away that she started reassessing what she really wanted to do in life. At 24, she decided to move to Australia in search of an adventure courtesy of her older sister who is already a citizen there and has several businesses. There Virginia found love and spent the next years raising two loving children and travelling the world. “It’s like a dream come true to have beautiful children and I devoted my time to my children. I travelled a lot,” says Virginia. Virginia was supposed to finish law but marriage and pregnancy got in the way. She also focused more on her job and helped her sister in running the business. She eventually worked in a casino to support herself and her kids. There was really no chance to think about writing. She was happy, she has kids, and she travelled a lot with her partner, Michael who is a CEO of a Medicare Local in Australia and whose job is going to remote places. Not until she and her daughter, who was still studying that time, started sending letters to each other instead of emails that she started writing again apart from her personal blog. “It (writing) was hidden in my Pandora box already for a reason – I’m happy with my life, with my children – they’re great! But when we started sending letters to each other, she was surprised. ‘Where did you get these passages? These are beautiful!’ She would tell me. There I told her I was writer before, I never told them,” she shares. Her son is now an engineer and her daughter an accounts manager in a non-government office in Paris. Virginia finally mustered the courage to write a book after she and Michael came back from a trip to a desert. Unlike other writers who claim to have writer’s block, Virginia declares she doesn’t have one. She writes non-stop especially when ideas start pouring in. She can even write everywhere, anywhere. “I don’t run out of ideas and inspiration. That’s what they always ask me, do you ever? No!” she would answer. In fact, the draft of The Murder in Desert Inn was lost a few times, but every time she loses it, she Could always go back to it with a vengeance. For Virginia, it’s never too late to write a book. It’s never too late to go back to your passion because if it’s there, it’s there. “You just have to open your Pandora box again. When I opened my Pandora box again, it’s paradox and claimers, I just sat down, have my thoughts, and started writing down,” she says. When she writes, she doesn’t use outlines as she says it’s too technical and she’s not a technician. She just let ideas flow and the characters come along and appear with the story as the story goes on. “Your characters become your friends and sometimes you just go out of the house and you just want to go back home and continue,” she says. She doesn’t believe in “pure” fiction either – there’s no such thing. Her books comprise of 25 percent research and experiences, making sure she tells facts. While it took her only four months to write the book, the publication process was very tedious as it needs to pass the scrutinizing eyes of her editors, not to mention the revisions and cost it incurred. She decided to publish her book in Manila because the country has always been special to her being her home country. Virginia would say that the Philippines is her biological mother and Australia is her adoptive parent. Even if it took Virginia almost 29 years to finally realize her dream of writing a book, she doesn’t have any regrets. The book wouldn’t be as dramatic and emotional as it is right now if she had written it before. “If you’re given a chance, do it! You grab it because it might not come back,” Virginia says in conclusion. 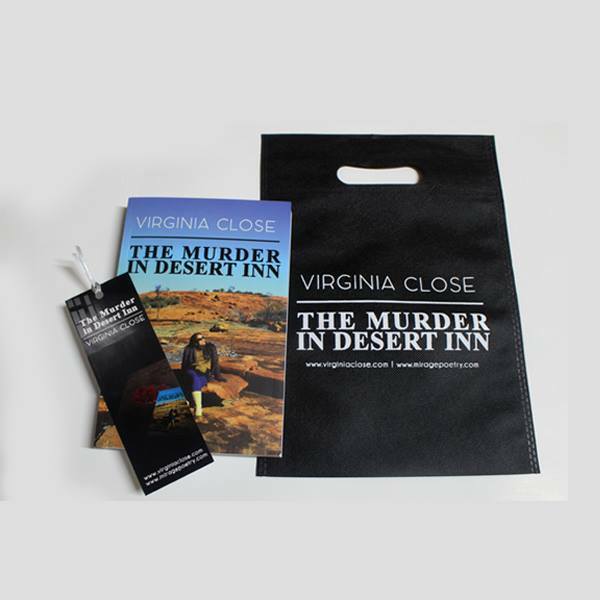 The Murder in Desert Inn by Virginia Close is about Nelly who suddenly finds herself in the desert. Her adventures and the saga of a myth-like fantasy conjure the totality of her identity. The unfriendly environment synonymous to the people that she encounters and the isolation of the desert gives her the inspiration to dream of going back in time. For more than 20 years of her quintessence, the memories of her job way back annihilate and obliterate from her soul. The craving for action, the places she visited like mortuaries – courthouses – and chasing the criminals to find the truth; enigmatic transparent on her nous to the purification of her lost Ipseity. Cardinal to her happiness is reliving her past.